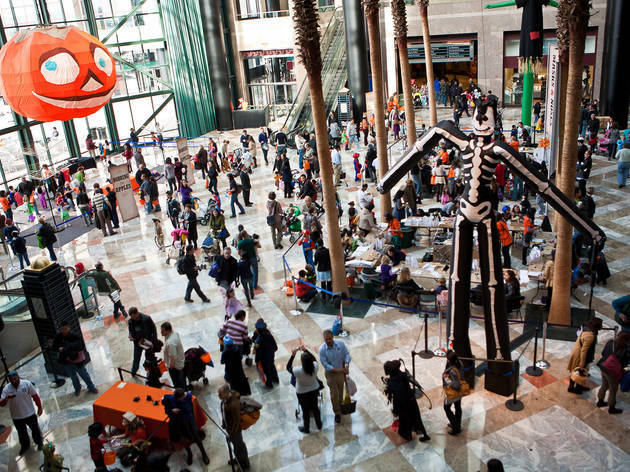 For the second year, this annual Halloween extravaganza will be held outside outside: The Plaza will be transformed into a Halloween Village, complete with huge puppet characters and game booths. Eco-minded tykes can bring along their old costumes for a swap and snack on organic and fair trade goodies. 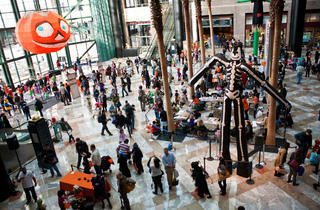 Costumed kids can also take part in a marching band–led Ghosts and Goblins parade through Battery Park City (3pm). All ages.